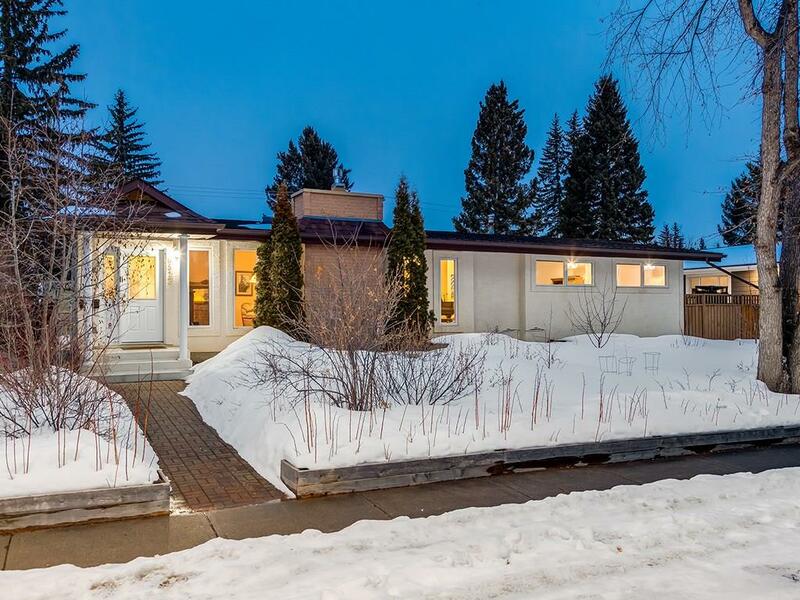 DESCRIPTION Situated on one of the best streets in North Glenmore, steps away from Earl Grey Golf & North Glenmore Park, sits this well looked after bungalow on a large 76' x 100' lot. This spacious home measures almost 3000sf of overall finished living space on two levels. You'll be pleasantly surprised by the grand main living area that features vaulted ceilings, large picture windows, updated cork flooring & gas fireplace with stone surround. A functional floor plan that is also an amazing opportunity to renovate to create your future dream home. The main level features 3 spacious bedrooms, a full bathroom, and a 2PC master ensuite. This property is also a gardeners dream with two greenhouses, a gravity fed irrigation system, and has been master designed as an annual permaculture garden in the rear, and a forest garden concept at the front. The roof was replaced in 2014. 6512 Laurentian WY Sw, Calgary, Alberta, MLS® C4226981 T3E 5N4 is a Detached, 4 bedrooms, 3 bathrooms, approximately 1,681 Sq. Ft. Listing price 899,900.00. This property was built in 1960.